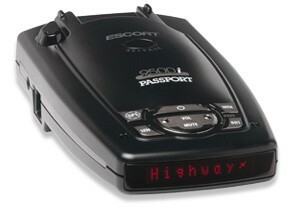 Escorts latest invention, the all-new PASSPORT 9500i, has revolutionized the radar detector category again. Its blistering performance is derived from the "World's Best" PASSPORT 8500 X50, which means it delivers the best protection possible against all speed measuring devices. Added in this new model is advanced GPS-powered intelligence, which makes the PASSPORT 9500i the best performing, quietest and most user-friendly radar detector ever designed. Completely immune to the VG-2 "detector-detector"
The PASSPORT 9500i puts an end to false alarms. 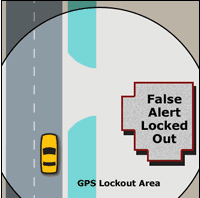 Its new GPS-powered TrueLockÂ™ feature allows you to simply press the mute button a couple of times and never hear a radar-based automatic door opener or motion sensor again. Our patented design captures the location coordinates and the exact frequency of the signal and stores them in memory. 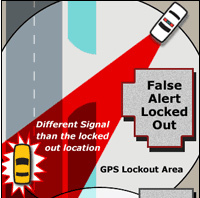 Once stored, TrueLockÂ™ will reject these signals, but is intelligent enough to warn you of a new or different signal in that same location. 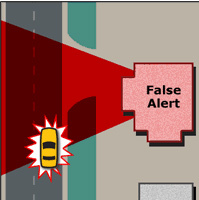 That's right, no more false alarms! Speed traps and camera locations are everywhere. It's a stretch of highway where they always sit, or it's a back road that quickly changes from 45 mph to 25 mph within a few hundred feet. You don't always remember, but now your PASSPORT 9500i will. The PASSPORT 9500i's "Mark Location" feature allows you to quickly store a specific location in memory. Simply tap the "Mark" button a couple of times and the 9500i will store this location in memory. The next time you approach this area, the PASSPORT 9500i will provide an alert well in advanced to remind you of the potential danger. This specific location reminder could keep you from being ambushed by instant-on radar or laser the next time you approach.